The Chamber’s workshop this month was about being in compliance with HR rules and regulations while still being able to manage employees effectively. Here’s a brief summary of just one of the issues covered in that workshop – avoiding discrimination in the hiring process. The most important decision you make as managers is who to hire. If you hire the right people, the rest of your job is easy. But how do you go about finding the right people when you’re afraid the hiring process is unknowingly discriminating against a protected class? The most important thing to remember is to make sure that every step in the hiring process is focused on the job requirements. If it doesn’t pertain directly to the job, it shouldn’t be a factor in the hiring process, which means you should eliminate it from applications, interview questions, etc. For example, if the employee will not be required to drive a vehicle in the position, why would you ask them if they have a driver’s license? Does it matter if they have a suspended license? Probably what you really want to know is if they’ll be able to get to work on time, so why not ask them if they have a reliable transportation plan to make it to work? Streamlining your hiring process with preset interview questions that you ask each applicant for a position is a great way to protect yourself from discrimination claims. When reviewing your application and interview questions, it’s worth taking a look at the EEOC guidelines for protected classes and discrimination. Take out any questions that don’t pertain directly to the job and that would give you information that could be cause for discrimination. Stacia Skretteberg, owner of HR Help based here in Sheridan, is a human resource consultant and certified Professional in Human Resources (PHR). 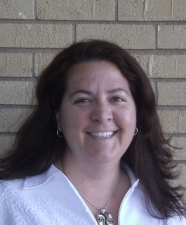 She has 19 years of management experience, including 10 years in human resource management. Stacia brings a fresh approach to human resources, focusing on easy to apply practices for the busy manager.